We'd love to hear from you - please feel free to get in touch with us using any of the methods below. 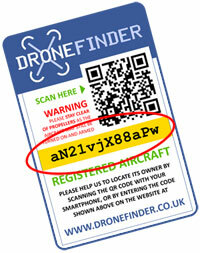 If you have any problems with your account, your subscriptions or any other technical query, please e-mail us at support@DroneFinder.co.uk and we'll get back to you as quickly as possible. Why not check out our frequently asked questions section - perhaps you'll find the answer to your question there! Please follow us on twitter to catch our latest updates - or view our blog.